Welcome to The Tao of Tangling. Do you see yourself as someone who wants to be creative but think that you are neither artistic nor creative? Are you looking for a way to slow down and focus in a relaxed, meditative way – all the while having fun? You’ve come to the right place. The Tao of Tangling is a pathway to finding the artist within and unleashing your creativity. It is the way to find a more relaxed, fun side of life. 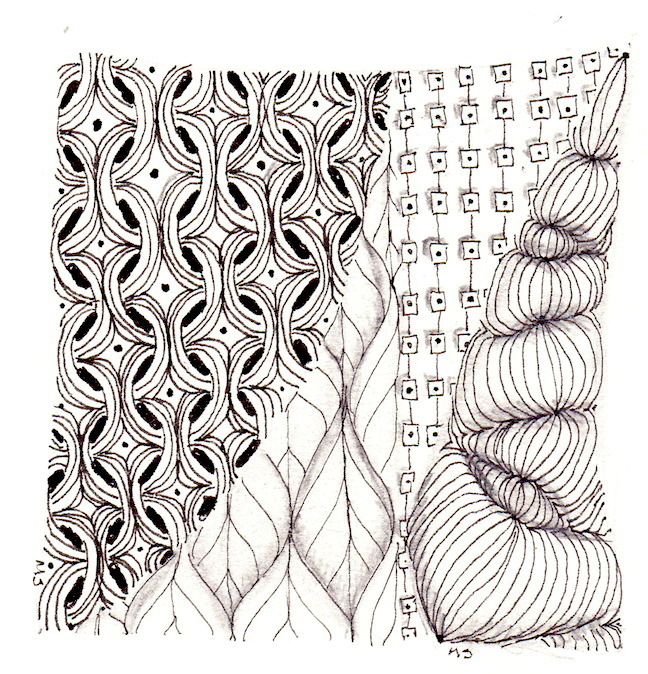 Using Zentangle and Zentangle Inspired Art (ZIA) you can discover (or re-discover) the joy of creating beautiful pieces of art. 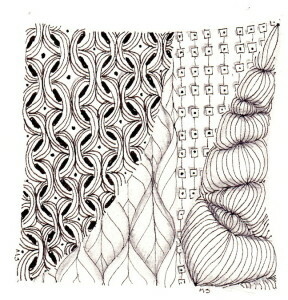 Find postings of Zentangle tiles and ZIAs I submit for “The Diva’s Weekly Challenge” on my blog pages. It is my hope that they will inspire you to take a class from a Certified Zentangle Teacher (CZT) and create your own Zentangled art work. If you live in CT or you’re visiting and you’re looking for a fun way to spend a few hours, check my class schedule. I’d love to meet you and share this wonderful process and artwork. Is now the time to come and play with me? Thank you for visiting The Tao of Tangling. I look forward to your comments on my blog and on the website.